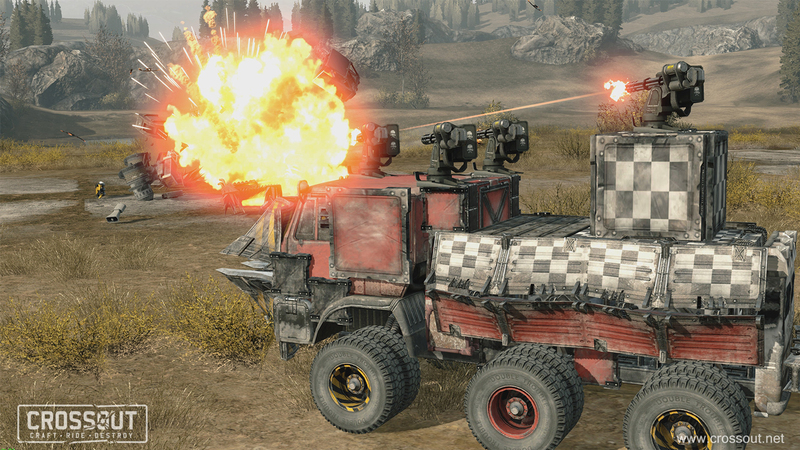 Play Crossout, an awesome post-apocalyptic MMO action game! 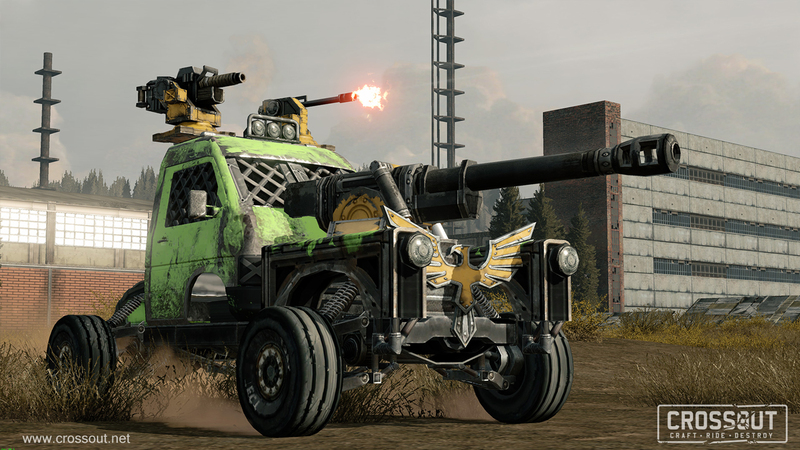 Crossout is a cool crafting and combat MMO game set in a post-apocalyptic world. 20 years ago, an alien virus has wiped out the population of the world's cities and left the earth infested with mutated non-human supersoldiers. You must join a faction and try to survive. 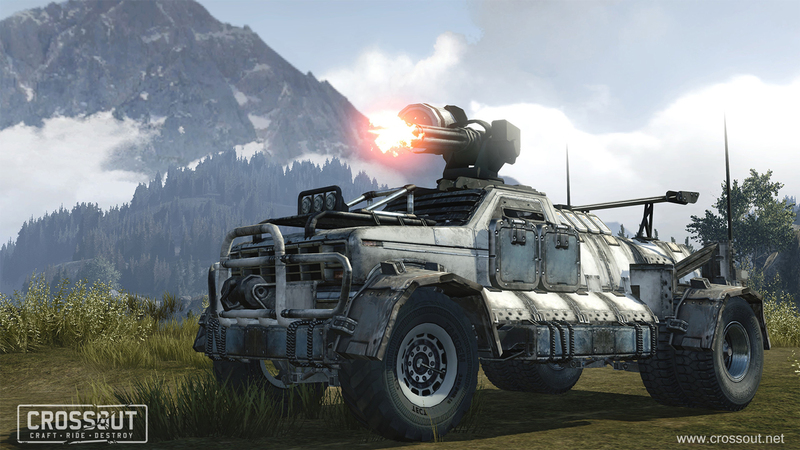 Survival depends on building powerful and fast vehicles to get around. 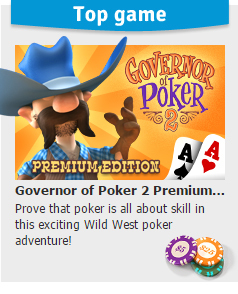 Engage in PvP and PvE battles and win machine parts. You can also dismantle unused machinery to scavenge for parts. Your vehicles must have an undercarriage and a cabin, but other than that you are free to build and experiment. Take care though, because the rules of physics do apply. For instance, if your car is top-heavy it will topple easily! 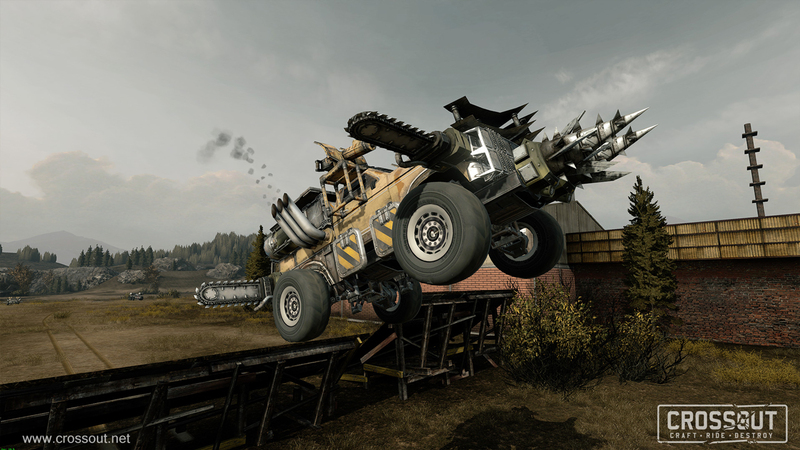 Targem Games, the Russian game developer behind Crossout also created the game Ex Machina / Hard Truck: Apocalypse, which is set in the same world. 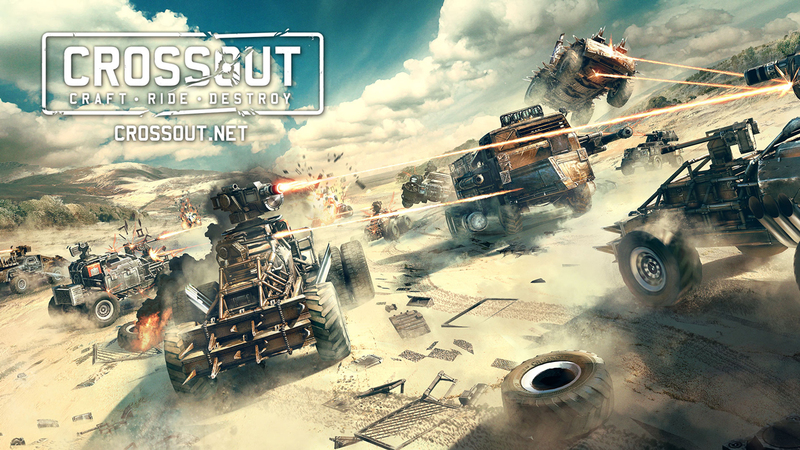 Tanki Online: ActionBattle against other awesome tanks in this free 3D flash Tank and Warfare game! War Thunder: ActionCommand amazing armoured vehicles and military battle planes in War Thunder, a thrilling WWII MMO! World of Tanks: ActionJoin the team-based massively multiplayer action and command historically accurate mid-20th century tanks in battle!